Complying with the existent European laws our own norms and regulations within the legal system are experimenting changes. This is the case of our low speed elevating equipment that have been affected by the Royal Decree 88/2013 developed by the Complementary Technical Instruction AEM-1. The aim is none other than to guarantee the safety of this type of installations used for transporting people. Summarizing, two basic obligations are established for the licensed installer: the register of this installation in the Department of Industry in each autonomous community and contracting the services of a registered maintenance company. With reference to the registration of the installation in the Department of Industry, some equipment may have to be adapted and updated for the said registration to take place. As far as the maintenance contract is concerned, this must include an obligatory revision every 4 months, a 24 h breakdown service as well as immediate attention in a rescue case. Compliance to these obligations ends in the present year 2015, at different date deadlines in the case of autonomous communities. Non-compliance on behalf of the licensed installer means that the machine is illegal and all responsibility and consequences derived from any unwanted incident will fall directly on them. 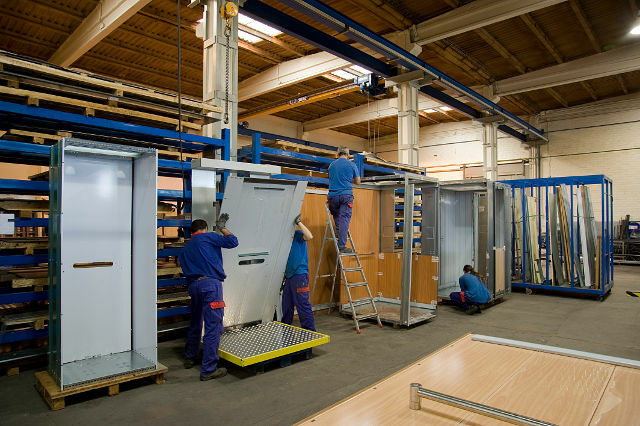 Enier elevators, acting as manufacturer, must guarantee law compliance, and consequently have embarked on an informative campaign directed to all licensed installers that install machines that need adapting for registration as well as those that need to contract the maintenance service.